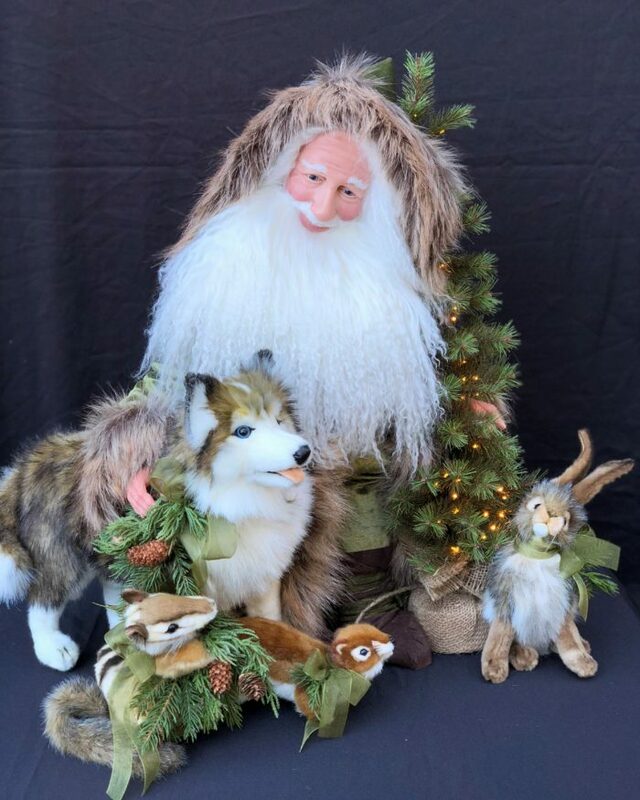 Happy Trails Santa is a delightful 26-inch woodland Santa surrounded by handcrafted realistic forest friends. 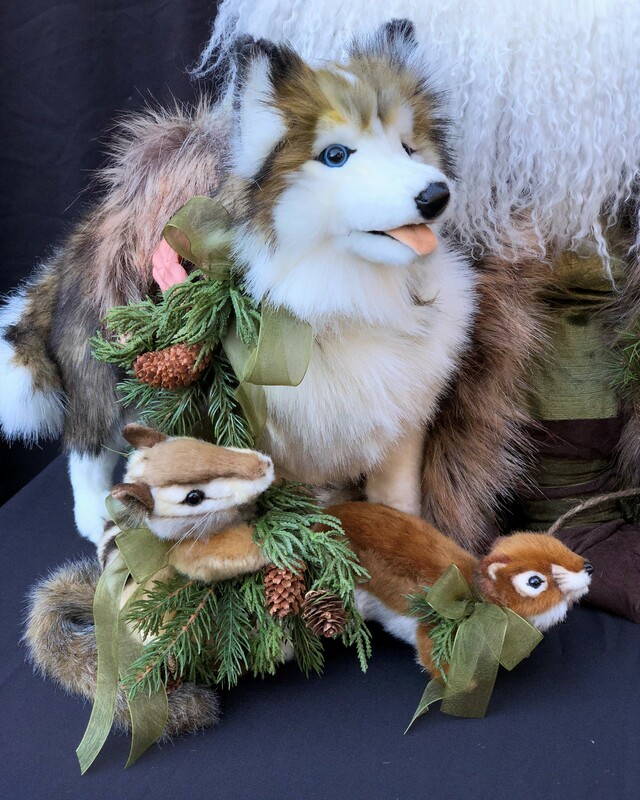 They include a husky, a chipmunk, a black-tailed rabbit and a central park squirrel. 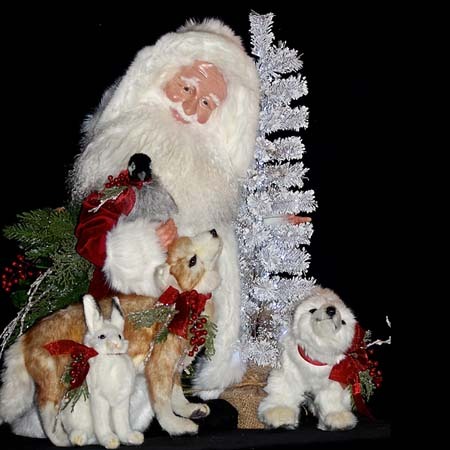 He also holds a beautiful pine tree lit with battery operated white lights. 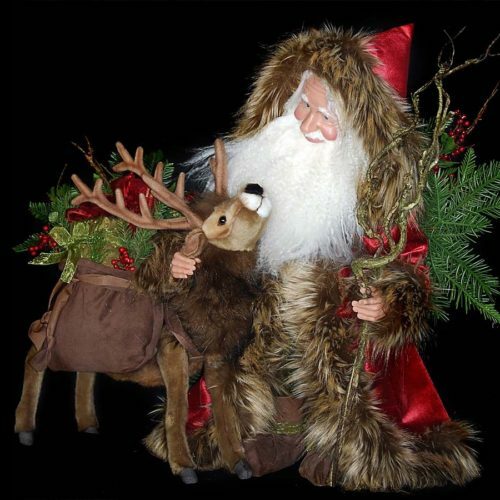 This collectible Santa is dressed in sage green velvet and trimmed with luxurious faux fur. He has brown suede boots and cummerbund. 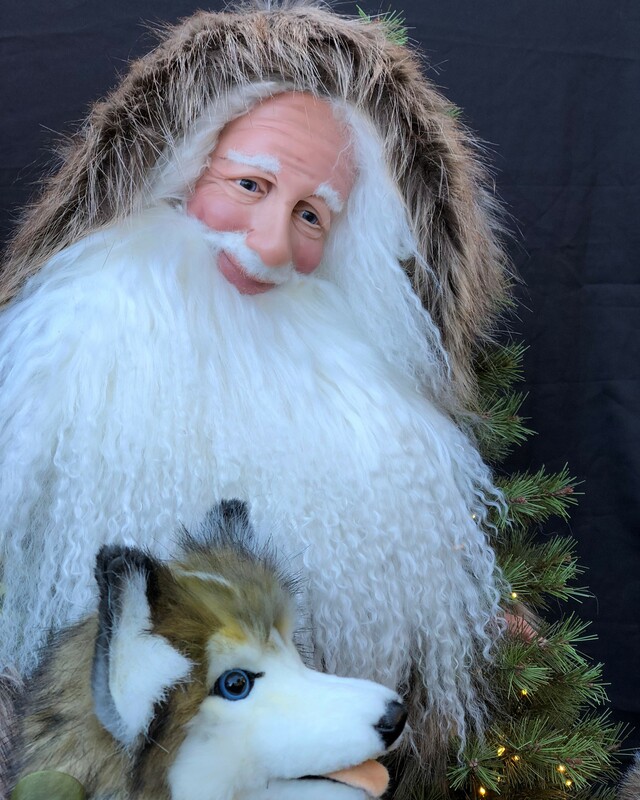 His face is hand sculpted with polymer clay and has a Tibetan wool beard. 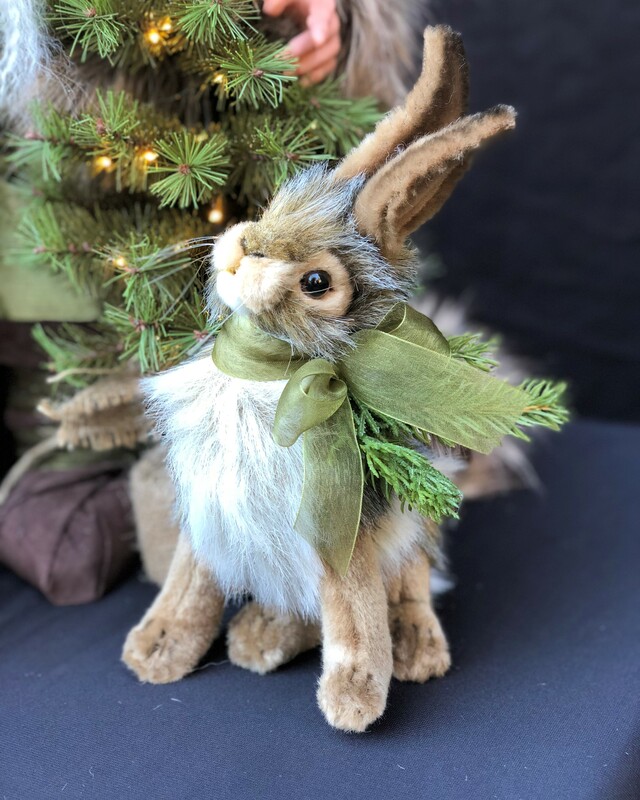 He is signed and dated under the beard.